Police officers from Wandegeya police station this morning swang into action, arresting Top Radio presenter Richard Kasule, after his morning programme at 10:00am. Kasule, commonly known as Omuggaga Kamagu was picked outside the radio premises, in Bwaise a city suburb. 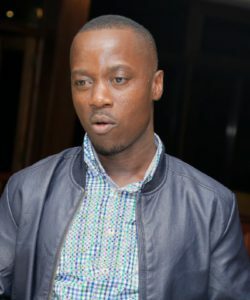 Two eyewitnesses said a police patrol pick-up parked near the station, for two hours waiting for Kasule to end his show. As soon as Kamagu got out of the station, two policemen grabbed him and forced him onto the waiting truck, before it sped off towards Kampala. Kamagu is the second journalist to be arrested by the security agents this month. Last week, Vision Group Investigative journalist Charles Etukuri was abducted outside the company premises. His whereabout have since remained unknown. Last week, the High Court in Kampala issued a directive to ISO to produce Etukuri in court, alive or dead. By press time, Kamagu was being detained at Wandegeya Police Station where only his lawyer Assuman Basarilwa was allowed to see him. Police spokesperson Emilian Kayima said Kamagu had uttered some irresponsible statements while on air, which led to his arrest. Kayima explained that they have been cautioning him and other radio presenters to stop uttering, what Police describe as irresponsible statements. This is not the first time, for police to arrest Kasule. In 2013, police arrested and kept him behind bars for a week. At that time, Kamagu was critical of Kampala Capital City Authority operations.